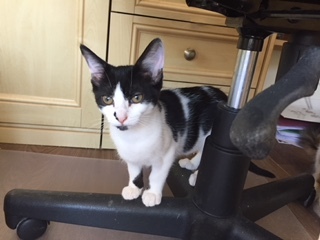 Bandit is a typical lively playful kitten but when playing is done, she loves to curl up on a lap with the loudest purr for such a small thing! 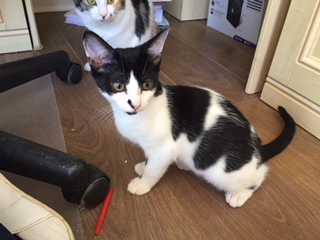 She came from a multi cat household and has been with other cats since so ideally needs to go into a home with an existing – tolerant – cat who doesn’t mind playing with her. She is fine with children but needs them to understand how to behave around her as she can get a little scared if they are too noisy.